It was the 85th minute of a FIFA World Cup group game in the legendary Maracana stadium that brought the zenith of VfB Stuttgart striker Vedad Ibisevic's career so far. In Bosnia and Herzegovina's first game at their first-ever World Cup, Ibisevic came of the bench to score the country's maiden goal against two-time world champions Argentina. His route to the very top level of the German game has been nothing if not unorthodox. Born in Vlasenica in eastern Bosnia in 1984, he moved as a youngster with his family to Tuzla during the upheaval caused by the vicious civil war following the break-up of Yugoslavia. In 2000, by which time Ibisevic had already represented Bosnia and Herzegovina at youth level, the family emigrated to Switzerland and then, less than a year later, to St. Louis in the United States. Ibisevic swiftly made a name for himself as one of the most promising forward talents in the state with the St. Louis University team. After a brief spell with the Chicago Fire PDL in the USL Premier Development League, he was talent-spotted by Paris St. Germain in 2004. From there, his journey took him to Dijon a year later, where he saw considerably more game-time, and in 2006, just as he turned 22, Ibisevic got his first toe-hold in the German professional game when Alemannia Aachen snapped him up. A further season down the line and it was all-change again, as ambitious Bundesliga 2 outfit 1899 Hoffenheim came calling. After helping the club to promotion to the top flight for the first time in their history, in 2008, Ibisevic then hit a rare streak of form that saw him score 18 goals in a sensational first season-half which ended with the entertaining rookies top of the table. Then bad luck struck, as he tore a cruciate ligament in his right knee in a mid-season friendly against Hamburger SV. He was ruled him out for the rest of the campaign and Hoffenheim's sensational title push faltered to an eventual 11-placed finish. 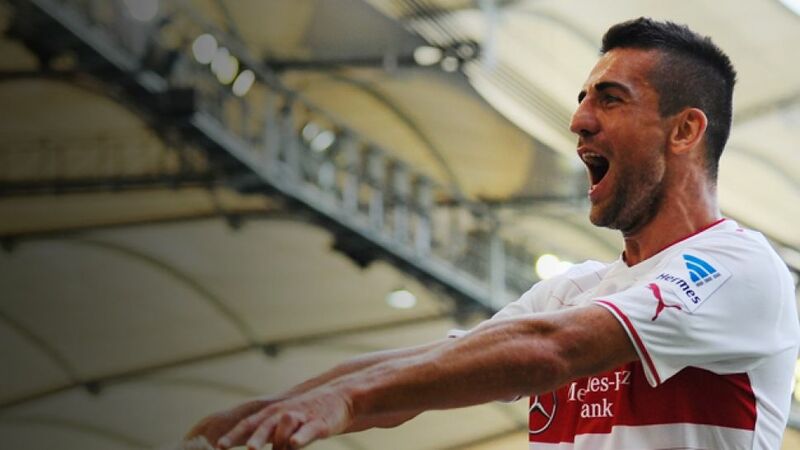 The seasons following his return were solid rather than spectacular, but a move to Stuttgart midway through 2011/12 seemed to inject the natural-born goal-poacher with a fresh lease of life and in 15 Bundesliga outings over the second season-half, he nabbed eight goals to fire Stuttgart into the UEFA Europa League. He bagged a further ten in 2013/14, helping a beleaguered club stave off the threat of relegation, before heading to Brazil for his first participation at a major tournament.